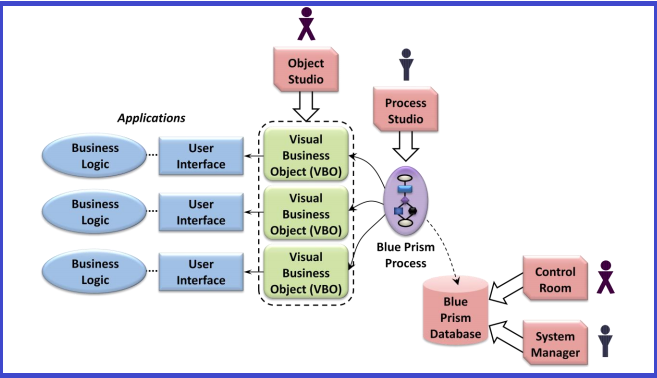 Blue Prism has taken a simple concept, replicating user activity on the desktop, and made it enterprise strength. The technology is scalable, secure, resilient, and flexible and is supported by a comprehensive methodology, operational framework and provided as packaged software. The technology is developed and deployed within a “corridor of IT governance” and has sophisticated error handling and process modelling capabilities to ensure it can perform at scale within demanding, highly sophisticated operating environments. Run and managing the process is monitored by 'Control Room'. Architecture of BluePrism - Read for more details here. Automation Anywhere is software designed to automate virtually any computer-based process with ease. No-programming-required interface makes it possible for anyone in an organization to quickly and reliably automate tasks of any complexity, including application integration, IT processes, data extraction and migration. It is available in Standard, Premier, Small Business, and Enterprise editions. The tool capabilities includes: Task to EXE, Job scheduler, Drag-and-drop task editor, Workflow and process mapping tools, Built-in Windows, web, and task recorders, Single-click web data extraction capabilities, and more. UiPath Studio– UiPath Studio is a highly intuitive visual processing modeling tool that helps you to design the process you intend to automate without any effort. The platform offers numerous best practices templates enabling users to have complete control over the automation. 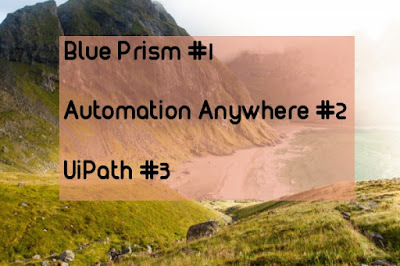 UiPath Robots–UiPath Robots has front office and back office bots that execute the processes defined by you. While the front office robot shares the interface layer with the human agent who holds control over the utilization, the back office robot works in batch mode, without any intervention. UiPath Orchestrator – UiPath Orchestrator allows you to deploy, start, stop, and schedule processes using a console and track the activities of robots. It offers a single interface to manage multiple robots that are running in your system.